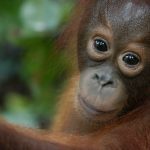 Orangutans could be extinct in the wild unless we take urgent action. Would you like to help save them? 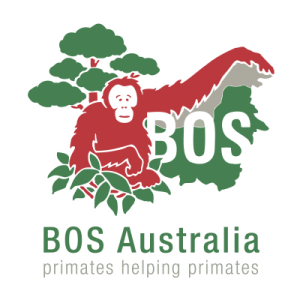 Your school can join Orang-U-Friends and help BOS to rescue injured and orphaned orangutans and teach them how to survive in the wild so that they can be released back into the rainforests. 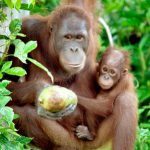 Orang-U-Friends is a program which enables schools to sponsor an orangutan infant at the Nyaru Menteng Reintroduction Project. The school can then follow their progress as they move through the rehabilitation process, learning forest skills such as climbing, finding food and nest building so that they can one day live free in the wild. As sponsors, schools will receive a certificate of sponsorship, a photograph and profile on their chosen infant along with a certificate of appreciation. We’ll also provide you with a pack of fundraising ideas and activities for students. Your school will receive updates on your chosen orangutan twice a year. All you need to do is hold a fundraising event (aiming to raise $180 or more), send in the proceeds and choose which infant you would like to sponsor – it’s that simple. We can even provide you with suggestions and support for a great fundraiser if you wish. 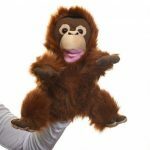 If action is not taken now, students in coming years will be learning about how we allowed the orangutan to become extinct. The Orang-U-Friends program helps raise your students’ awareness of endangered species and the environment and gives them a chance to see how they can make a real difference. It’s also fun and interactive. We can even provide you with suggestions and support for your fundraising event. How many orange jelly beans in the jar? Any combination of the above ideas. We love to hear about your fundraisers – tell us about your day and send photos via email or Facebook. Thank you to the students and staff at the schools who have held successful fundraisers and sponsored orangutan infants as part of the Orang-U-Friends program.